Advocates of taxing fossil fuels believe their position is stronger now because of an alarming new report on climate change and a Nobel Prize awarded to by two American economists, but neither development is likely to break down political resistance to a carbon tax. Previous alarms about global warming met with resistance from Congress and the White House. President Donald Trump withdrew the United States from the Paris agreement on climate change last year. The Intergovernmental Panel on Climate Change, a panel of scientists brought together by the United Nations, warned in a report Monday that droughts, wildfires, coral reef destruction and other climate and environmental disasters could grow worse as soon as 2040, even with a smaller increase in temperatures than used to set the Paris targets. 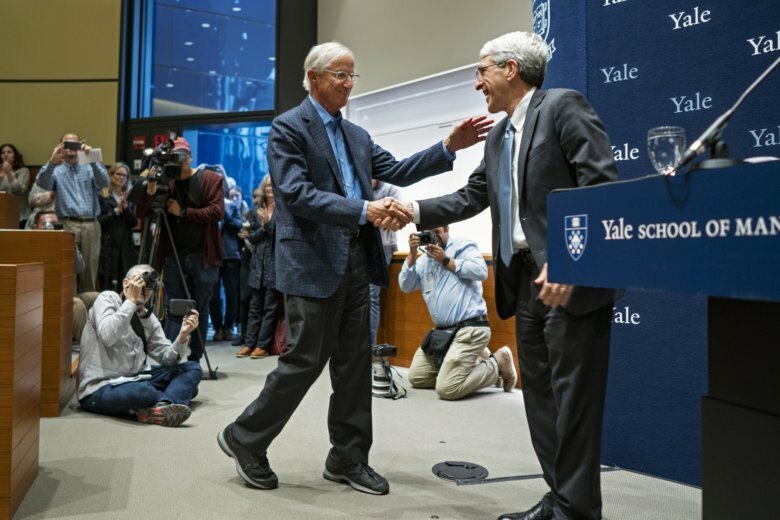 A few hours later, the Nobel Prize in economics went to two Americans, including William Nordhaus of Yale University, who argues that carbon taxes would be the best way to address problems created by greenhouse-gas emissions. A carbon tax is a charge imposed on the burning of fossil fuels like coal, oil and natural gas, which produce carbon dioxide. The tax is designed to make users of those fuels pay for the environmental damage they cause. The ultimate goal of some tax backers is to price fossil fuels out of the market and replace them with sources of energy that produce little or no heat-trapping emissions. Coal and oil and gas companies could pass the tax cost along to consumers, which would presumably give a price advantage to energy that is not taxed. That, advocates say, would help renewables such as solar and wind grow more quickly from their current single-digit share of the U.S. electricity market. There is, of course, stark disagreement over the economic effect of a carbon tax. Researchers at Columbia University estimate that a tax of $50 per ton of carbon dioxide emissions would increase average U.S. consumer electricity bills 22 percent by 2030, with amounts varying by region. A Tufts University authority estimates that it would add 45 cents a gallon to the price of gasoline. Both think the impact can be mitigated by distributing the money raised through taxes to households, and that many low- and medium-income families would come out ahead. Opponents argue that a carbon tax would kill manufacturing jobs and hurt family income. A 2014 report by the Heritage Foundation said that a tax of $37 a ton would cut economic output more than $2.5 trillion, or $21,000 per family, by 2030. This year, two dozen conservative groups endorsed an estimate that a carbon tax would cost more than 500,000 manufacturing jobs by 2030. Noah Kaufman, an energy-policy researcher at Columbia and a proponent of carbon taxes, said the terrifying prognosis in Monday’s report should highlight the central role of a carbon tax in addressing climate change. But, he acknowledged, such warnings are not new, and political opposition to a tax remains strong. In July, the GOP-controlled House voted for a resolution rejecting carbon taxes as detrimental to the U.S. economy. Almost all Republicans, joined by a few Democrats, voted for the symbolic measure. Prominent opponents of the carbon tax also believe that urgency over addressing climate change is exaggerated. They point out that U.S. carbon emissions have fallen in recent years as abundant natural gas has risen to rival coal in electric generation. Meanwhile, China’s emissions grow rapidly, making it the world’s largest emitter of greenhouse gases. There are signs that the political ground could shift. — A group of former Republican officials and big corporations plan to lobby for a tax of $40 per ton of carbon dioxide produced and to give the money to U.S. taxpayers. Oil giants Exxon Mobil, BP and Royal Dutch Shell support the plan, which also would protect them from lawsuits blaming them for climate change. — A Republican congressman, Carlos Curbelo of Florida, bucked party leadership this summer by proposing a carbon tax. — Voters in Washington state will decide next month whether to adopt a carbon fee. Nordhaus, the freshly minted Nobel winner, was also looking beyond the current political leadership in Washington, D.C. He said that outside the United States there is wide acceptance of the science and economics of climate change. Grover Norquist of Americans for Tax Reform, another group that lobbied against carbon taxes, said Nordhaus ignored science and history in advocating a carbon tax. “He should look at the history of the last 20 years and see that the United States has been reducing carbon emissions without a carbon tax,” Norquist said. Susan Haigh in New Haven, Connecticut, contributed to this report.